Back when I was a teen, doing teen things like playing Metal Gear Solid 2 with my buds, I couldn’t wait to start driving. But the last car I wanted to be seen driving was a minivan because that was a lame car for parents and I wanted to be cool and awesome. (Spoiler alert, I was still never cool in high school.) That phenomenon may be one reason today’s buyers have shifted so full-force into crossovers and SUVs, and now Nissan is hoping the same thing could eventually drive young buyers back to sedans. But there’s reasons to take this thinking with a grain of salt, as always. 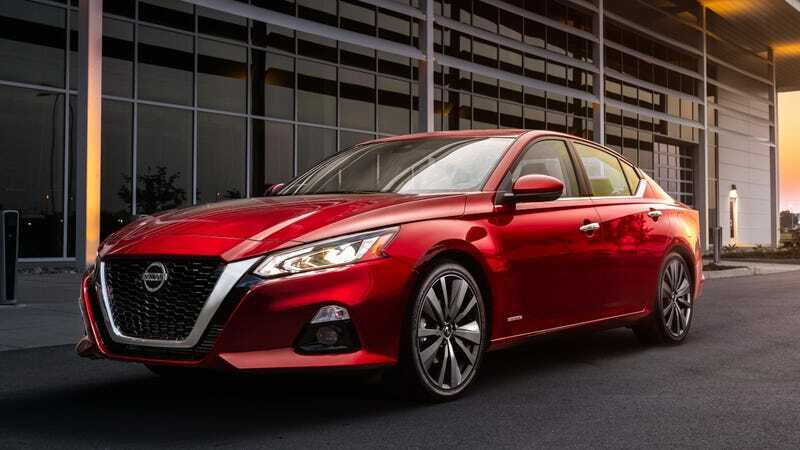 But Nissan’s market research, said Pillard, indicates there could be new opportunities to bring buyers back into the sedan segment. “We think younger generations will buy more sedans than older generations,” he said in Santa Barbara. Conversations with Gen-Y and, in particular, Gen-Z cohorts found many saying, “I don’t want to drive daddy’s car,” according to Pillard. Anyway, as that story notes, this trend makes sense. Parents who had kids in the 1990s, many of whom probably grew up in the land-yacht wagons of the ’60s and ’70s , went all-in on minivans. Then the minivan stopped being cool and people wanted to dump their big family haulers for the rugged, outdoorsy individualist image offered by SUVs. And now car-based crossovers dominate the market, with sedan sales looking bleaker with each passing month. As I mentioned earlier, I’m skeptical here, even though I personally prefer the driving dynamics of a smaller, lower car. For one, of course the Nissan Altima brand manager is going to be optimistic about this car. It’s his job! And there’s not a lot to be enthusiastic about, here—the new Altima’s main party trick is all-wheel drive and the interesting variable compression engine, but other than that, it looks destined to be your next rental car and not much else. It has blah looks, and a CVT you’ll just tolerate. Plus, the crossover boom is about more than just what’s “lit” at the moment: it’s hard to argue with the increased practicality of a raised hatchback—which crossovers largely are—over a three-box sedan. They tend to weigh more and get slightly worse fuel economy, but no one cares because gas is cheap, for now. Crossovers own the market to the point where most of these new electric cars we’re supposed to driving in the near future have been SUV-like, as of late. And Nissan’s optimism isn’t really shared by other automakers. Ford is killing off all its sedans and small cars except the Mustang, foreseeing a permanent shift to crossovers, trucks and SUVs. That death grip on people’s car buying decisions won’t go away easily, and it’ll probably take a big spike in gas prices to make it happen. My take: crossover sedans will be the next big thing. You heard it here first, folks.